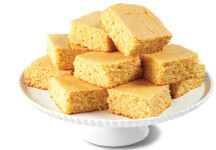 This sweet cornbread is always a hit. It is easy to make up and is a favorite at Thrive Life parties. to cool for 15–20 minutes before serving.